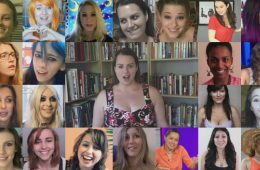 A selection of women talk freely about their masturbation habits. This is part one of a large series by Jill Masters exploring female sexuality and masturbation. The man in this short film enjoys being wrestled into submission by his strong female partner and happily tells us why. Titus Gandy is a young American from New Jersey who came to New York to try to break into the film industry as an actor. When he was at Times Square he saw the real "Naked Cowboy"(Robert Burck) and asked if he could join his company.